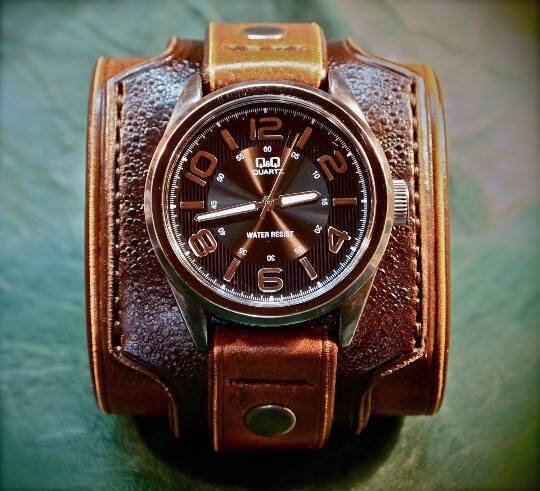 This brown distressed leather cuff watch is made using fine natural vegetable tannned leather. 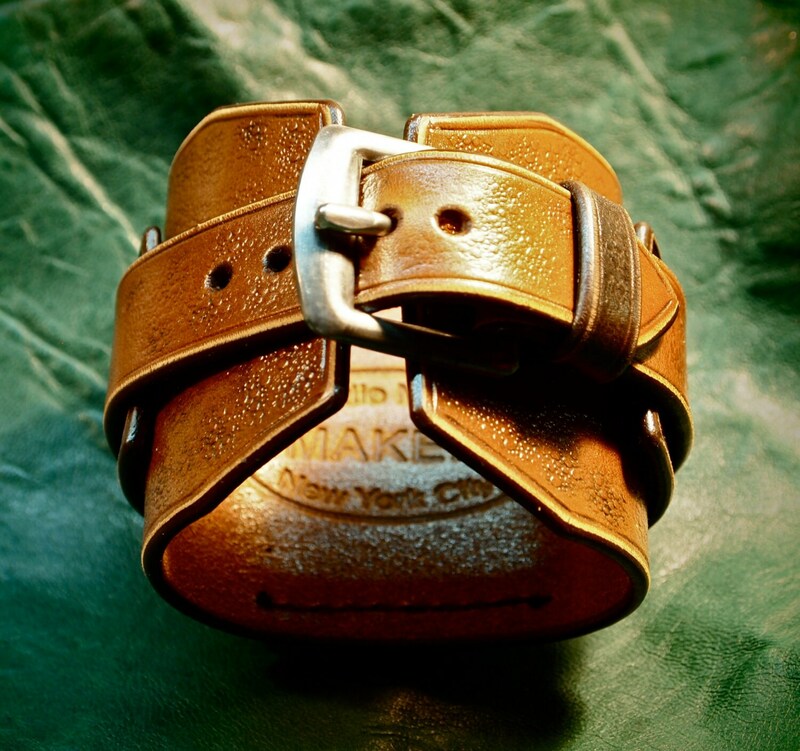 It is dyed in two tone brown and hand tooled in a pebbled texture. The leather is lightly distressed and hand worked using a host of advanced leatherworking techniques! 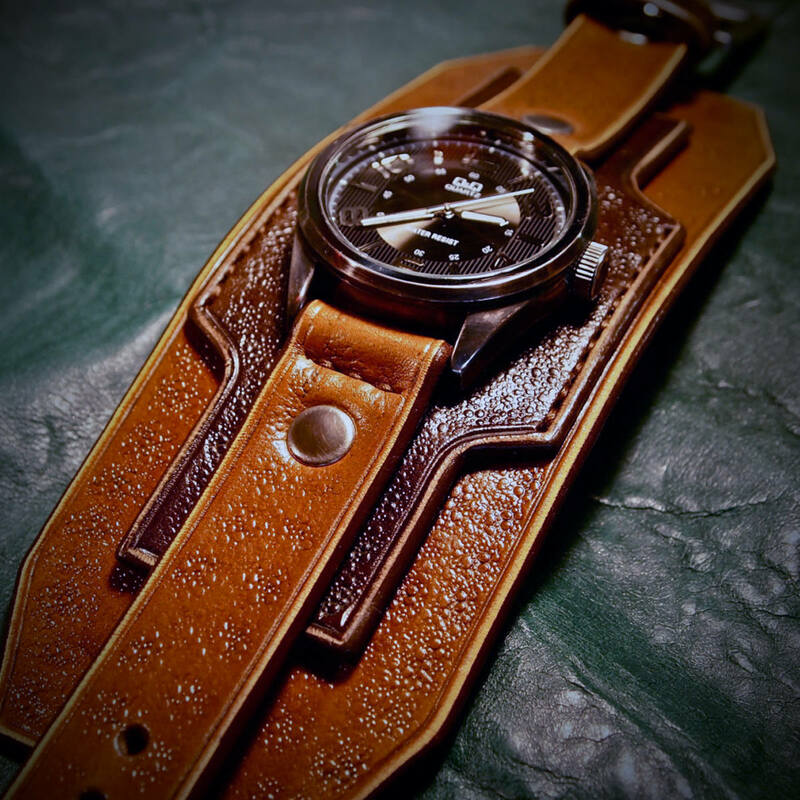 A beautiful hand distressed "Q & Q" watch made by Citizen with a Metallic black face tops it off. Very beautiful Watch, great Work. Now, I have Nathan Drake´s Watch ;-). Just Awesome! 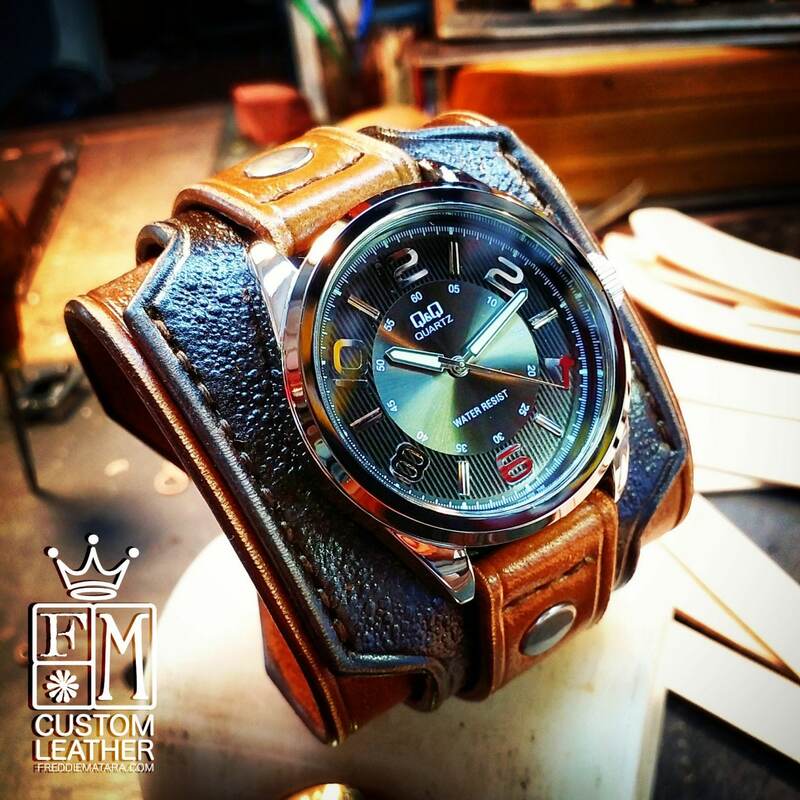 !..This is our 8th Matara watch, and the quality and craftsmanship is unmatched. Made to last a lifetime, and look good doing it..Bravo Freddie!! I've been wearing this watch nonstop since I've gotten it, and gotten tons of compliments! 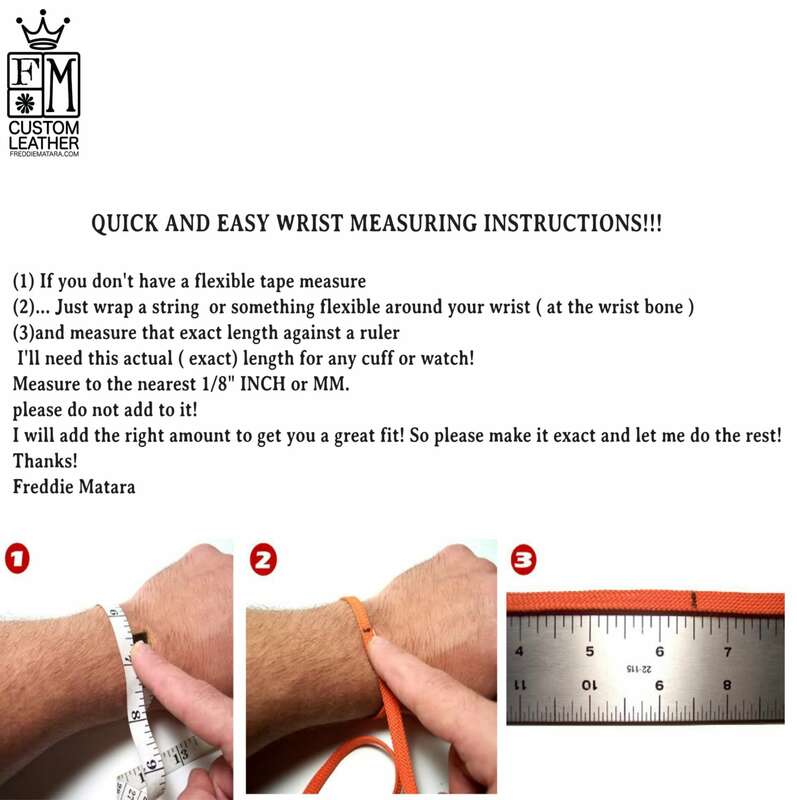 It is a stunning watch, and I would definitely buy from Freddie again!